Thrive Patch Review: An Actual Weight Loss Solution? You are here: Home / Blog / Thrive Patch Review: An Actual Weight Loss Solution? Does The Thrive Patch Work or Is It a Scam? There is no shortage of weight loss products out there and one that’s becoming pretty popular is the Thrive patch. Basically, this is a weight loss product, in the form of a patch, that you apply to your skin. The concept is, unusual, to say the least, but it does have supporters. As such, this Thrive patch review is going to take a detailed look at what the patches actually offer and whether they are likely to work. This review has been recently updated to reflect the current product line from Le-Vel, along with the ingredients that are being used. The style is unusual. Le-Vel promotes them as a lifestyle formula that can be absorbed through the skin using Dermal Fusion Technology (DFT). In other words, the patches are wearable supplements. The nutrients are absorbed through your skin which should, in theory, mean that you get access to the nutrients faster. To lose weight, customers are also meant to be taking the shake mix and the capsules. Le-Vel is a multilevel marketing company (MLM) that focuses on health and weight loss. They've been around since 2013 and their products are fairly popular. The MLM model is common and some such companies are reliable. But, it's important to be wary. Distributors for MLMs earn money by getting people to buy the products. To do so, many end up making claims that mightn't be 100% accurate. The idea does sound interesting. If nothing else, patches are an unusual idea. It's easy to see how they could, theoretically, offer benefits. But, how well do the patches work in practice? Thrive promotes multiple products. We're mostly focusing on the patches in this post. But, it's worth highlighting the other items too. As we mentioned before, the Thrive experience involves three different products. The capsules are shown in the image below. There is one version for men and another for women. Many of the ingredients could offer benefits - especially if your diet isn't balanced. But, for the most part, this is simply a multivitamin. There is nothing particularly unusual about it. The next component is the Thrive Mix. The technique here is fairly similar to what Shaklee and Shakeology offer. With 15 grams of protein and hardly any sugar, the shakes aren't horrible. But again, they're fairly typical. The final part of the Thrive Experience is the most interesting - the patches. As a whole, the plan is pretty typical. Users are basically taking two types of supplement (one as a capsule, one via a patch), along with a protein shake. Would it offer benefits? Probably. Supplements can be relevant for people who aren't getting enough nutrition. 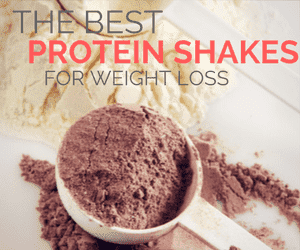 And protein shakes can promote weight loss. Beyond these main products, there are also others that the company produce. Le-Vel refers to these as Thrive Plus products and there is a range to choose from. The Thrive patches are the most interesting thing that Le-Vel offers and the one product that makes them stand out. The company calls them Premium Lifestyle DFT, where DFT stands for Derma Fusion Technology. According to the company’s marketing, this delivery system is unique, which is a realistic claim. There is no single best place to put on the Thrive patch. Instead, the goal is just to apply it to a lean area of your body. The underlying idea is that the patches provide a way to deliver the various compounds via the skin. This creates an extended delivery system, something that you wouldn’t get by ingesting those same compounds. The company itself offers little evidence to support these benefits. Furthermore, there doesn’t seem to be much research on the patches themselves. But, at the end of the day, the whole concept is that these patches deliver compounds to your body in a different way. Specifically, the compounds are released over an extended period of time. The implications of this? Well, that’s not really clear. In fact, there isn’t even much evidence of how much you absorb this way, versus taking a traditional supplement. It’s very possible that you get a lower amount of the compounds. The company doesn’t provide enough information to answer these issues. In some ways, this doesn’t even matter. After all, the patches are just a delivery system. The best way to figure out whether they work is to see what they’re actually delivering. So, we’re going to take a look at what’s in the patches. ForsLean is a trademarked ingredient. This is listed first on the label, so it is probably the most significant ingredient. It is actually a version of the supplement called coleus forskohlii. There is some research behind this particular ingredient, although the outcomes of the research are not clear cut. For example, one study found that the supplement reduced the risk of gaining weight (1). That’s not quite the same thing as actually losing weight. Plus, that study involved supplementing with the compound at a level of 500 mg per day. Would you get that benefit from Thrive patches? Well, it’s not clear. There isn’t even an indication about how much coleus forskohlii there is in the patches. Plus, there appears to be little research proving that this type of delivery system is that effective. Another study found that the supplement ‘favorably altered body composition’. However, that outcome refers to an increase in lean body mass, rather than weight loss. Additionally, the study also used relatively high doses of the supplement (2). All-in-all, the evidence for this supplement is spotty at best and there is little to prove that it does contribute to weight loss. That’s particularly concerning if this is truly supposed to be the main ingredient in the patches. Green coffee bean extract was actually fairly popular as a weight loss supplement on its own for a while. However, it has been the subject of relatively few studies (3,4), many of which were funded by the weight loss supplement industry. The few studies that have reported a positive effect from green coffee bean extract have observed a relatively small impact in terms of actual weight (5). The site Vixen Daily offers much more detail into the science behind green coffee bean extract and what this actually means for weight loss. At the same time, green coffee bean extract does come in the form of supplements. So, if you still want to try out this idea, you'd be better off getting the supplements, rather than relying on Thrive patches. This is a particularly common ingredient. You'll find it in many different weight loss products and even as a supplement in its own right. Some theories suggest that garcinia cambogia may play a role in decreasing fat production and helping people feel full (6,7) but evidence in humans is extremely limited (8,9). CoQ10 does offer health benefits, especially for people taking statin medications. But, most of those benefits apply to people who have low levels of CoQ10, rather than the general population. Additionally, research into CoQ10 and weight loss has been fairly limited. Some studies do suggest that the compound may help with glycemic control (10) but more research is needed to even prove that. The site DietSpotlight offers more insight into CoQ10 and weight loss. Related Article: CoQ10 Weight Loss – Does the Supplement Work? This is used from time to time in supplements but, in most cases, it seems to be used to increase the effects of caffeine and ephedra rather than actually helping with weight loss. The evidence for white willow’s effectiveness in doing so is limited – and this is most irrelevant anyway, as caffeine and ephedra aren’t even in the Thrive patches. For that matter, it isn’t really clear why white willow is even in the mix or what it is supposed to do. This is another trademarked product. This time, it is a metabolite of black pepper. The basic idea is that this increases the bioavailability of a few drugs, including Forskolin (which is another name for ForsLean). The evidence about whether or not the ingredient can actually do so is pretty minimal. But honestly, it hardly matters whether or not Cosmoperine increases bioavailable of ForsLean or not. After all, the research for ForsLean isn’t particularly strong and it’s doubtful that ingredient would contribute to weight loss anyway. This is a compound that's found in lemons and is responsible for various health benefits. Some studies do suggest that it can promote weight loss and impact blood sugar levels (11,12). But, evidence is extremely limited and the effect hasn't been shown in humans. Besides that, you're likely to get more beneficial compounds from lemons themselves than Thrive patches offer. Aloe vera is surprisingly common in weight loss supplements, partly due to the Clean 9 Diet. But again, the evidence simply isn't there. The most significant impact is that aloe vera can act as a laxative in the right doses. But, that's not really a good thing. Besides, you probably wouldn't get that effect with Thrive patches. Also, most discussion of aloe vera and weight loss focuses on drinking aloe vera juice. The amount of aloe vera in Thrive patches is likely to be much lower and the process is different too. L-arginine is an amino acid that is sometimes linked to weight loss. For example, the site LabDoor talks about one study where participants did lose weight when taking L-arginine. But, that study involved 3 grams of L-arginine 3 times every day. That's 9 grams in total. There's no way a Thrive patch contains anywhere near that amount. The site Authority Weight highlights some other evidence. But, studies are still limited and the best results come from large doses. Realistically, if these compounds actually helped with weight loss, then there would be many effective weight loss supplements on the market. Yet, most weight loss supplements don’t have much effect at all, suggesting that the same may be true for the Thrive patches. Plus, the evidence for weight loss benefits isn't strong. Some of these compounds may have some impact - but it is likely to be incredibly small. Thrive users are likely to see more benefits from the protein shake and any lifestyle changes than from the patches. It's also unclear how much of each compound is present in the patch or how much you absorb. So, even if some of the compounds do promote weight loss, you may not be getting enough of them to see any significant benefits. And remember, the studies that have been conducted wouldn't have used patches. Using patches as a delivery system is highly under-researched and even Le-Vel doesn't provide much proof that the idea works in practice. The ingredient information that I’ve focused on here is for the main Thrive patches - the ones used in the Thrive Experience. But, there are some other options. This patch is promoted as having a 'dual-action left/right adhesive application'. This basically provides a larger surface and the potential for better absorption. Once again, the ingredients are different but they follow a familiar pattern. This product is promoted as the most recent Thrive patch and takes advantage of lessons learned from previous products. The marketing talks about how this version has a greater amount of the ingredients, although details aren't provided. The ingredients themselves should look familiar. Basically, the various Thrive patches rely on ingredients with minimal research and evidence. There is some suggestion that these ingredients may contribute to weight loss but the support is nowhere near strong enough to actually warrant using the patches. Additionally, even if the patches do play a role in weight loss, the impact is likely to be small. Instead, most benefits you see would be based on changes to your diet and to your lifestyle. Based on the evidence from above, you’d think that the patches would be fairly unpopular. Well, yes and no. For one thing, there has been a lot of hype and interest surrounding this brand. That popularity is probably the reason that you may have heard about Thrive patches. With that in mind, I took a look at Thrive patch reviews from actual users to see what they had to say. As is always the case, reviews are mixed. Some people seem to have had good experiences, while others are less encouraging. Many of the reviews come from people using multiple Thrive products. Some of the reviewers also had health challenges, like fibromyalgia. As such, the reviews are only a rough indication about outcomes you might see. Le-Vel is also a MLM. Some of the reviews will come from distributors, who may be biased toward the company. Let's look at the positive reviews first. One reviewer mentioned that the patches seemed to decrease their appetite and provide more drive. This suggests they might work for weight loss. There were also some negative reviews, including people who didn't see much impact at all. There are many similar reviews from both perspectives. Some people love the products, while others don't. In fact, sites like Consumers Compare highlight an odd balance of reviews. There are a large number of 5-star reviews and a large number of 1-star reviews but relatively few in the middle. That type of pattern is often an indication of a scam. It can also mean that the product seems to work well for some people and not for others. To be honest, many of these differences largely come down to perception. For example, many people here are talking about drive or energy levels. Both of these are extremely subjective areas. In practice, it’s incredibly difficult to accurately tell whether your energy levels are increasing or decreasing from day to day. Even if you could tell, you wouldn’t be able to determine precisely what caused the change. Another interesting thing is that relatively few people talked about weight loss. With so many mixed reviews, it's hard to know what the Thrive patch results actually are. Do the patches work for some people and not for others? Or, are some people just more easily convinced? The significant number of negative reviews is also a major cause for concern. If nothing else, this suggests that many people aren't happy with the product. That begs the question, why even bother? There is also a concerning pattern of side effects. This is something that multiple reviewers have highlighted. In fact, there were many reviews that mentioned side effects - more than I've seen for most other products. Side effects might be particularly significant for anyone who is sensitive to caffeine or stimulants. Responses from distributors suggest that the side effects are just your body detoxing but that's not true. Even if detoxing did work like people claimed, you should not be experiencing this many side effects. The main way to purchase the products is through Le-Vel's website or from a distributor. The patches are sometimes sold on Amazon, but the listings often get pulled. Buying the products is surprisingly complicated - as you need a distributor before you can even sign up as a customer. In fact, you can't even see the prices without finding a distributor and going through the sign up process. Reports about pricing are mixed and the total will depend on what you purchase. However, you may be paying between $100 and $300 per month to have the products automatically shipped to you. Another estimate suggests that it totals around $5 per day. Either way, the products aren't cheap, especially if you are following the entire Thrive Experience. At the end of the day, there is little to suggest that these patches are effective for weight loss. For the most part, the patches are just variations on the idea of weight loss supplements. The biggest difference is that you stick these to your skin, rather than ingesting them. It’s hard to know whether the delivery system is beneficial or not but at the end of the day it simply doesn’t matter. Realistically, these patches simply aren’t going to be effective because the compounds in them don’t really help with weight loss. In pretty much every case, the compounds in question have limited research or none at all supporting their ability to help with weight loss. That being said, the patches do contain various stimulants. These won't necessarily promote weight loss. But, they can provide a boost of energy, which some reviews did report. For many people, weight loss is an important goal but you’re not going to find it through products like Thrive patches. Simply taking a pill, drinking something specific or using a patch is never going to be a quick fix to weight loss. Instead, effective weight loss is about finding a lifestyle that works for you. What this looks like tends to be different for each person. For example, some people turn to low-carb diets, while others may look to techniques like intermittent fasting. The idea is to find something that works well for your own body and is actually sustainable. In fact, one of the main reasons that people don’t lose weight or fail to keep weight off is that they are trying to follow a technique that isn’t suited for them. For example, many diets involve eating very few calories. That can work for short-term weight loss but few people have the willpower needed to sustain such a diet in the long-term. In contrast, relying on whole healthy food tends to be much more sustainable in the long-term, which can help you to lose weight and keep it off. After all, just look at the amazing food you can make on a low carb diet. What do you think? Are the patches worth trying or a complete waste of time and money? This is definitely different I have never heard of a weight loss patch. It looks like the ingredients are similar to another supplement I have tried before. Do you think your body absorbs more of the ingredients with the patch vs. digesting them? I may have to grab a box and give these a try! There is no evidence that a patch approach works better than supplementing and the idea is questionable at best. Perhaps the compounds do get in your bloodstream more effectively, rather than risking the digestive tract. But, it’s also likely that you simply don’t get the same benefits. Besides that, most of the ingredients in Thrive patches can be supplemented directly and you’re likely to get more benefits doing that. interesting – I guess they’re piggybacking on the other patches in common use, for smoking cessation and birth control. In those instances, the patches do work, but I’ve never thought about absorbing something like caffeine through a patch. My thought is that even if these patches are mostly meaningless biochemically, what they do is give the dieter a sense of routine and physical association. It’s also kinda akin to wearing a “badge”, like showing people that you’re doing something that’s an accomplishment (ie: dieting). That’s a good point about the mechanism. Patches for smoking etc. do work but they also rely on specific compounds that are designed to be delivered this way. It’s difficult to know whether the approach would actually be effective for a product like this, as it’s just basically a herbal supplement. Certainly, the impact hasn’t been proven. You’re right though – they would have a placebo effect, especially because they are so visible. If nothing else, the sensation of wearing the patch may be a powerful reminder to a person about their goals. That alone may well have a greater impact on weight loss than the compounds in the patch. This is certainly a different angle and approach to weight loss. I can see how patch type products could work – delivery of the nutrients and active compounds straight to the blood stream in a sustained manner as opposed to being lost via the digestive tract. I would be interested in research too. Currently there really isn’t much evidence, certainly not enough to say that these work well. Still, at best, they may make weight loss easier, that would be about it. Like any weight loss supplement, they don’t have the potential to replace a healthy diet and regular exercise. Wow! A lot of technical information. I certainly appreciate someone who takes the time to go through the information about so many different weight loss ingredients. When I look at the ingredients for weight loss products, I look to see if there is a lot of caffeine or ephedra; things that could do harm to me. For me, all that technical stuff go above my head. But, that’s just me! I look for the bottom line, but I had to travel all around Robin Hood’s barn to get to the answer to my real concern about the Thrive Patch. Thanks for letting me know that basically the thrive patch is really no better than the actual weight loss supplement and that for the most part there isn’t enough evidence to say that either type actually contributes to real weight loss! You did a lot of research on this information and I do give you kudos for proving thorough information about the thrive patch. The delivery system may be different but the basic underlying concept here is simply a weight loss supplement. Even if the system was more effective at delivering the compounds (and there is little indication of that), there is still no evidence that it would help you lose weight.